Our inquiry focus for 2016 has been "From Challenge to Success". We have certainly faced our share of challenges this year. Seven learners left Room 10 between the end of 2015 and Term 3 of 2016. One learner returned to Room 10 at the beginning of the year after spending one term with us earlier in 2015. Five learners were moved into Room 10 from another class in the middle of Term 3. 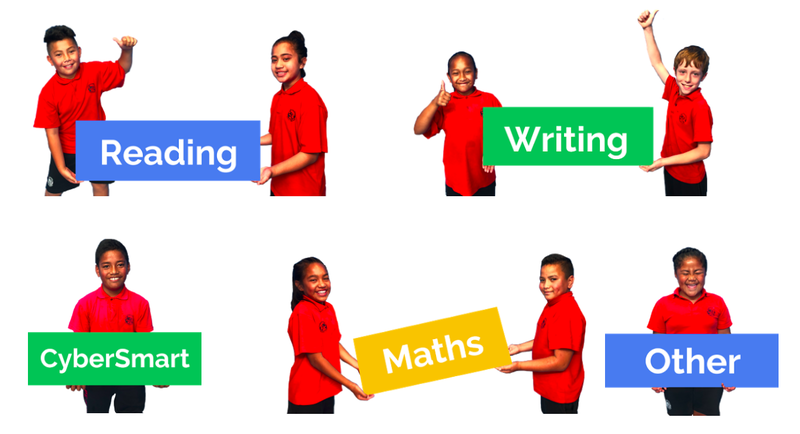 These changes impact learners on a day-to-day basis in terms of friendships both inside and outside school, and relationships with others, for example within reading groups. Additionally, Ruapotaka was adversely affected by asbestos risk during Term 3, the result of which was we were moved to a nearby primary for a few days. 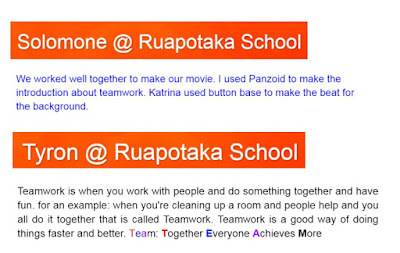 On our return to Ruapotaka, Room 10 continued learning in the school library for three weeks. The resilience and "can-do" attitude to problem-solving displayed by most students during these changes and challenges was heart-warming and positive for their ongoing learning. 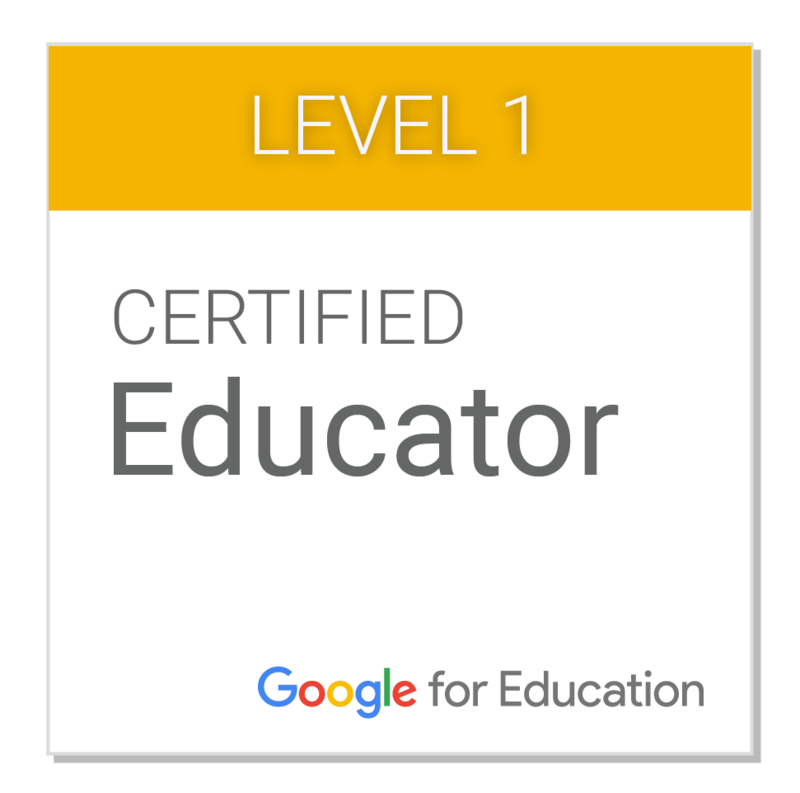 So how did we approach celebrating success in Term 4? 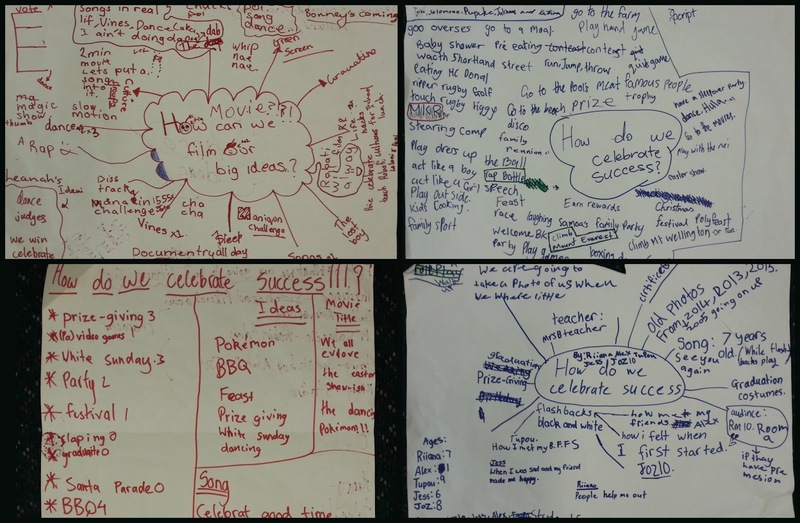 Working in small groups, learners were challenged to create a movie to demonstrate how we celebrate success or what success means to them. 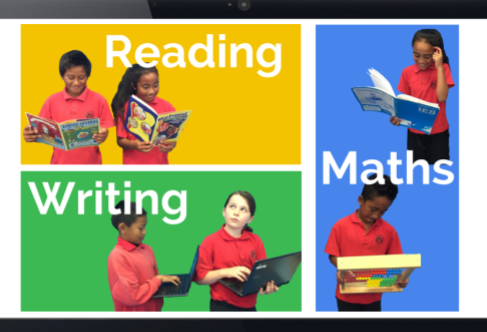 The purpose of this was two-fold: to promote greater collaboration within small groups; and to offer learners the opportunity to plan and create their own movie whilst learning some basic editing skills in Movie Maker. 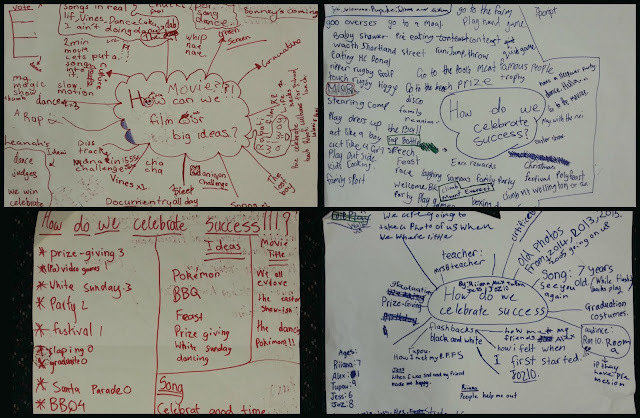 Supporting resources were shared via Room 10's class site: How do we celebrate success? Each mixed-ability group brainstormed and recorded their ideas, from which plans were formulated. 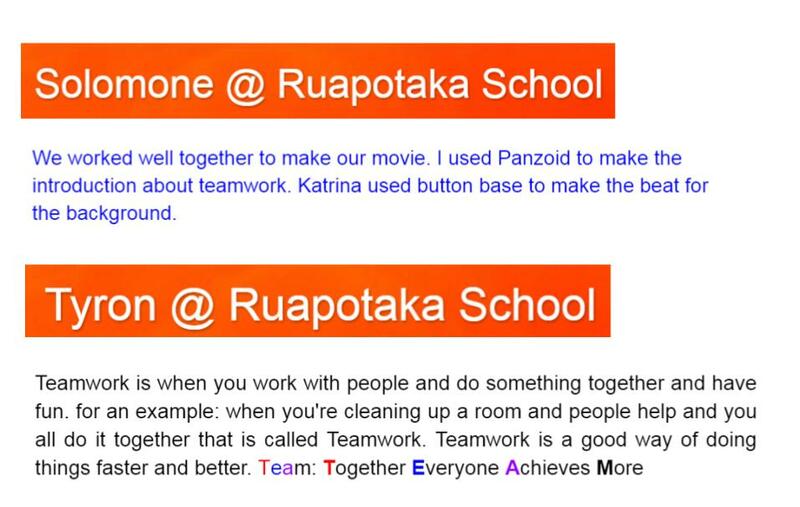 More detailed planning took place via a shared Google doc and the end result of collaboration, learning and creating was four completed movies which have been shared on the class and individual blogs. Only one group needed some teacher support and a slight adjustment to their plan to meet end-of-term deadlines. Learners overcame challenges and worked together in a positive way to achieve the team goal and were excited by the opportunities offered by these learning experiences. As well as having some beginning experience of creating and editing using Movie Maker, many learners explored different options for creating their own beats, music and animations to enhance their movies.